The Millau Viaduct in Southern France, designed by Sir Norman Foster. Foster captured attention in the 1980s with his innovative design for the HSBC Building in Hong Kong, a 47-story modular design that features a sunlight-filled, cathedral-like interior which echoes (on a much larger scale) Frank Lloyd Wright’s now demolished Larkin Building in Buffalo, New York. 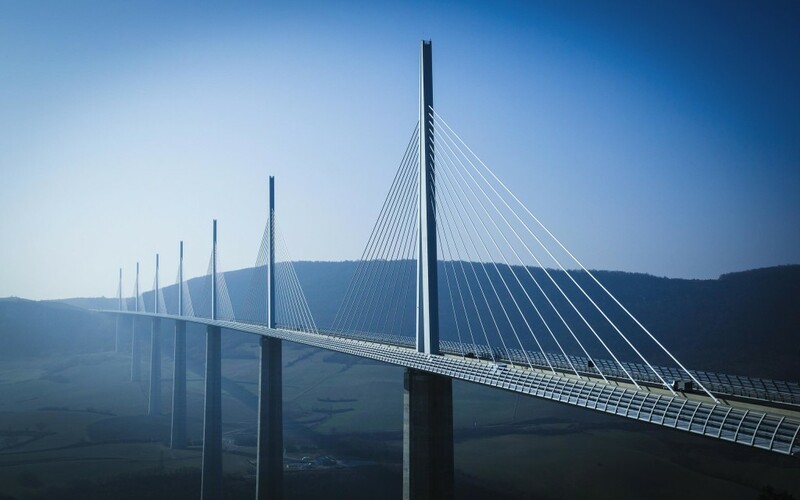 Other prominent Foster designs include the glass-domed restoration of Berlin’s Reichstag, the cylindrical “Gherkin” tower in London, and the 1,125 foot tall Millau Viaduct in France, the world’s tallest bridge, completed in 2004. Architecture critic Paul Goldberger has pointed out that there are few man-made structures that actually improve their natural setting. San Francisco’s Golden Gate bridge may be one example, and the serene Millau Viaduct is surely another. 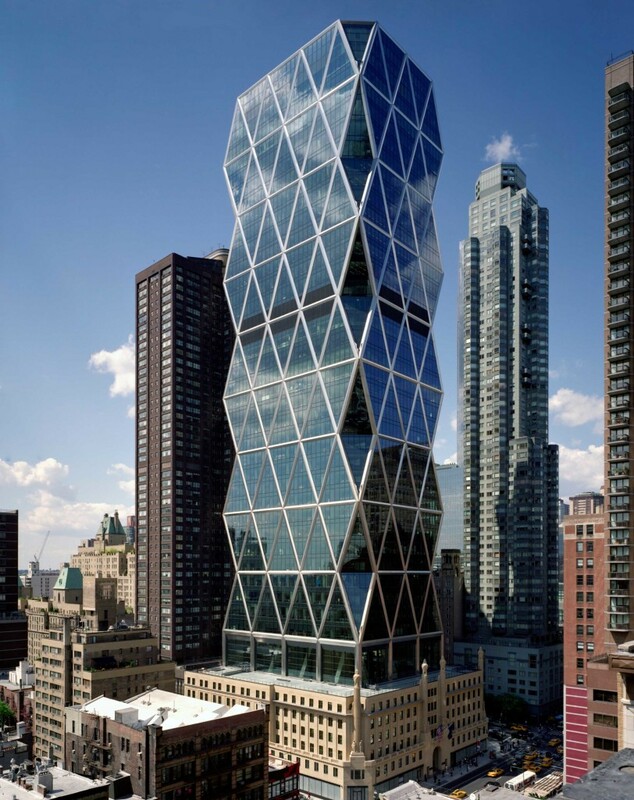 Norman Foster is the Mozart of modernism. He is nimble and prolific, and his buildings are marked by lightness and grace. He works very hard, but his designs don’t show the effort. He brings an air of unnerving aplomb to everything he creates—from skyscrapers to airports, research laboratories to art galleries, chairs to doorknobs. It’s so famous and catchy that we almost don’t notice it anymore. And that’s probably what Mozart intended. Eine kleine Nachtmusik is far from Mozart’s most “serious” music. It was written as functional party music. Yet, like everything else Mozart wrote, it’s so great that we can’t get enough of it. As you listen, consider the parallels Goldberger draws with the 21st century architecture of Norman Foster.